Stimulate your senses with a dose of botanical inspiration admiring new trends, world-class show gardens and an exhibition hall full of cut flowers. It’s the southern hemisphere’s biggest garden festival. We’ll sample a few of Melbourne’s flowery and operatic treats on a four-day break. Group flight departs from Brisbane or meet up with your Ross Tour Leader, Claire Bickle at Melbourne Airport. We’re off to Royal Botanic Gardens, Melbourne with a guided tour. We’ll see the Children’s Garden, Perennial Border, Rose Garden, Arid Garden, Guilfoyle’s Volcano, the Lake System, Fern Gully and the Forest Walk. It’s a beautiful oasis in the heart of the city. This afternoon check into our hotel, the Marriott, which is perfectly placed to explore Melbourne’s great restaurant scene. We’ve planned a welcome dinner in the hotel tonight. Spend a full day exploring the Melbourne International Flower and Garden Show, which is staged within the world heritage listed Royal Exhibition Building and surrounding Carlton Gardens. Wear comfortable shoes because there’s plenty to see and lots to buy. They’ll be colour, flowers, people, designers, new plants and a great buzz. Our hotel is just a few blocks away. We’re travelling through the Yarra Valley this morning to a property with a Guilford Bell house set amongst an old established garden of camellias, magnolias and oaks. 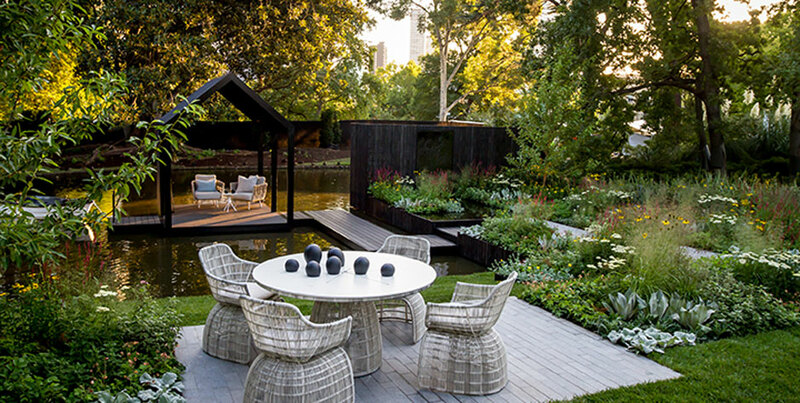 The property occupies 4kms along the Yarra River frontage with native trees lining the banks. An exciting new dry garden has been designed and installed by Phillip Johnson. Rocks, waterfalls and an extensive cascade lead down to the river. 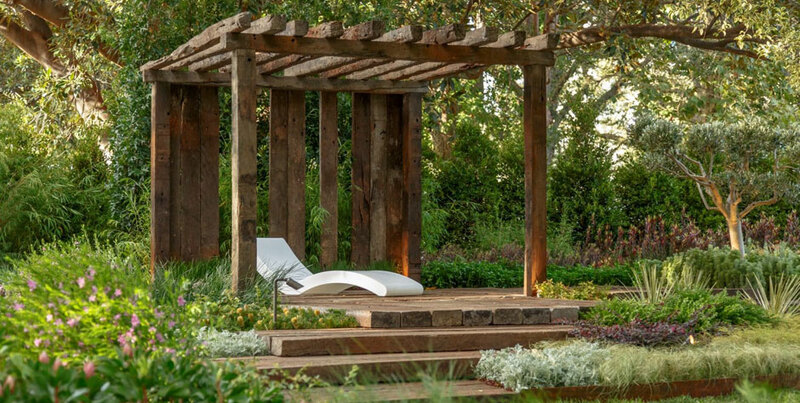 It’s a wonderful blend of classic and modern; peaceful yet stimulating using an exciting palette of Australian plants. 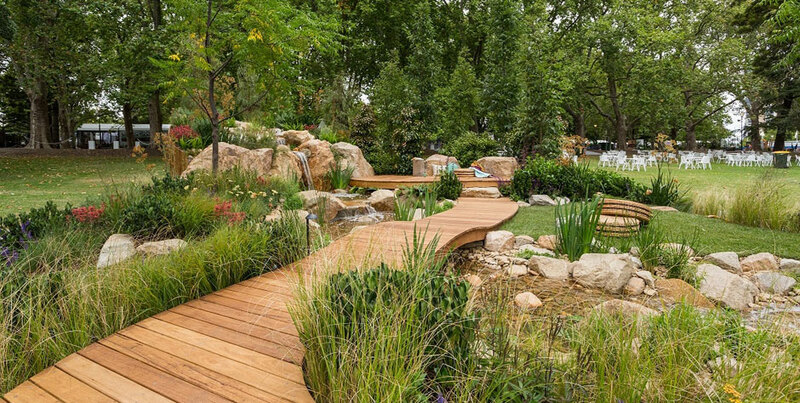 We’ll be ready for lunch when we arrive at Alowyn Gardens then we’ll stroll through this remarkable garden that’s been developed over the last 19 years. A series of cleverly designed spaces each with its own theme. 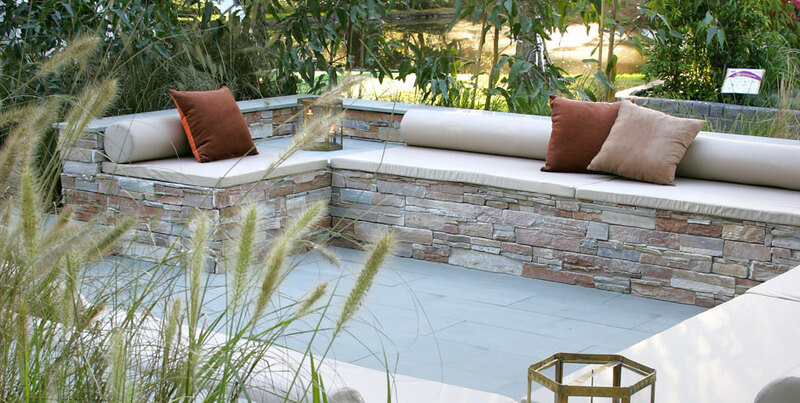 Superb plant selection makes these spaces sing. And there is more planned. 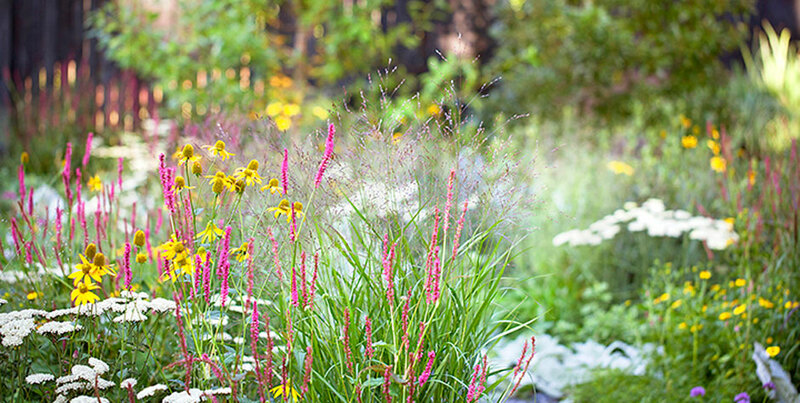 We love the parterre, the perennial border, the birch bosques and the dry garden, but the edible garden won us over. We’ve left the morning free for shopping in Melbourne. Afternoon flight home. 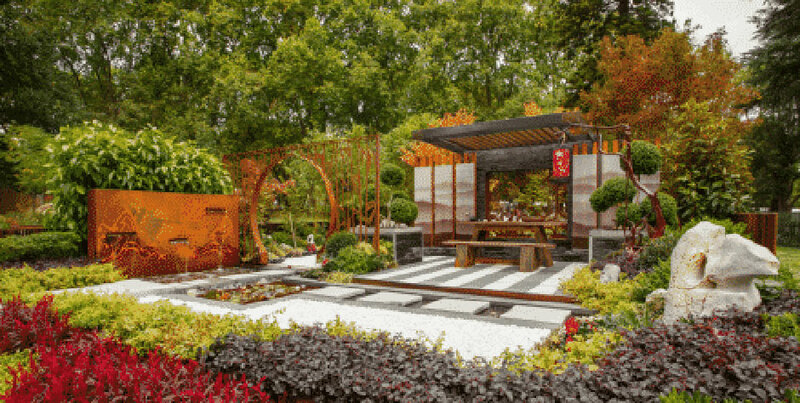 Read what our tour leaders have written about the Melbourne Flower Show here. botanical kind. 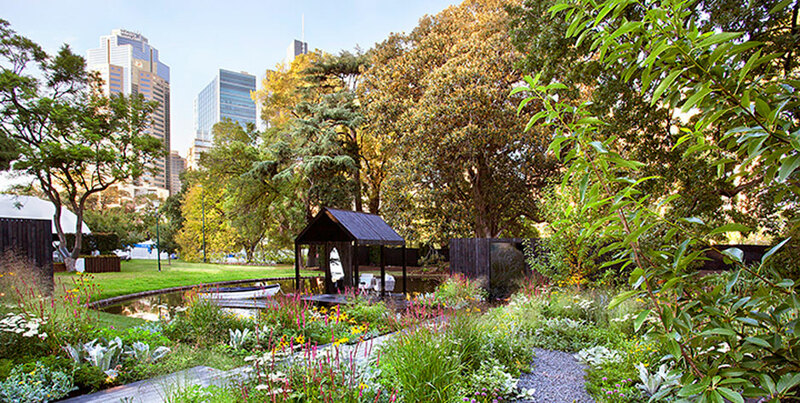 We’ve included some beautiful cool climate gardens to give you an inspirational short break. Museum of Modern Art and gardens, Werribee Mansion and the Victoria State Rose Garden.